Heat oil in a frying pan. Add the mince, stirring with a wooden spoon to break up any lumps and cook for 5 minutes. Add Taco Spice Mix, 3/4 cup of water. Simmer for 2 minutes or until sauce thickens. Combine tomato, onion and coriander to create a fresh salsa. 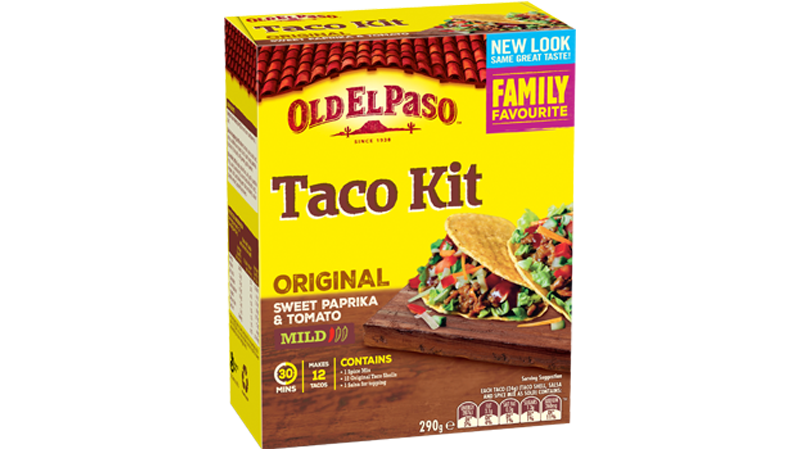 For crunchy Taco shells, preheat oven to180ºC conventional (160C fan forced)*. 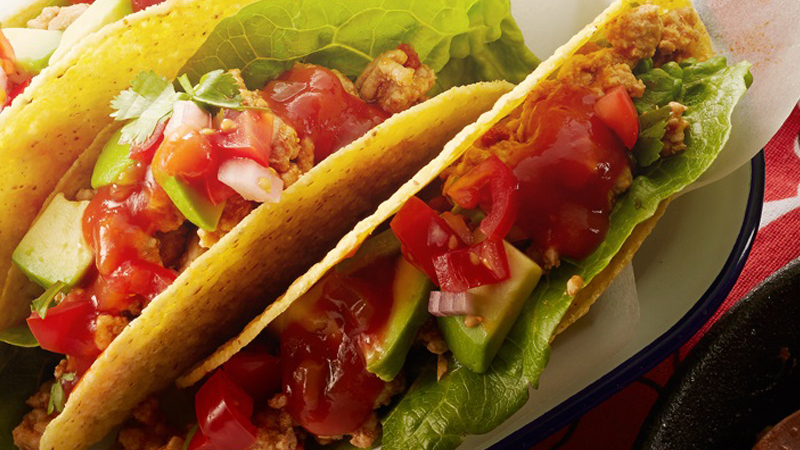 Remove Taco shells from plastic, keep heatproof wedge inside shells to retain shape. Fan Tacos slightly apart on tray and heat for 5 minutes. *Not suitable for microwave use. Build your own Tacos with pork, lettuce, fresh salsa, avocado, sour cream and Mild Taco Sauce.